Italian Catholic’s Christmas message prompts fury as he claims that “provocative” clothing and “arrogant” attitude gets women into trouble. The church of the parish of San Terenzo where Fr Corsi pinned his Christmas notice. A CATHOLIC PRIEST has sparked outrage in Italy by claiming that women bring sexual and physical violence on themselves by dressing provocatively and neglecting housework, Italian media are reporting today. How often do we see girls and mature women going around scantily dressed and in provocative clothes? They provoke the worst instincts, which end in violence or sexual abuse. They should search their consciences and ask: did we bring this on ourselves? Is it possible that all of a sudden men have gone mad? We don’t believe it. The fact is that women are increasingly provocative, they become arrogant, they believe themselves to be self-sufficient and end up exacerbating the situation. Children are abandoned to their own devices, homes are dirty, meals are cold or fast food, clothes are filthy. 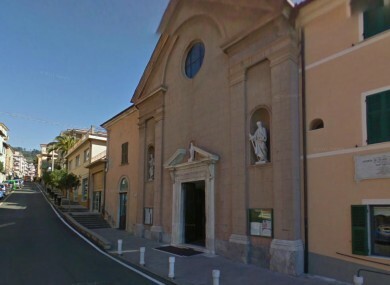 The region’s bishop, Luigi Ernesto Palletti, stepped in as the story went viral and said Corsi’s words were “unacceptable and go against the church’s common feeling on the matter”. Amid protests from women’s rights and anti-violence campaigners, Corsi was widely reported by Italian media to have apologised to his congregation and handed in his resignation. He later denied the reports, saying a resignation letter sent to news agencies was “probably a fake”, adding that he was going to “take a rest” but had no intention of stepping down. “I don’t know whether you’re a queer or not, but what do you feel when you see a naked women?” he asked a reporter for Rai Radio. The mayor of San Terenzo said the message had left the town’s residents “dumbfounded and indignant,” while an elderly female resident told Sky Italia television that Corsi “should keep a low profile as he has lots of secrets he would not wish to come out”. Email “Priest says women bring sexual and physical violence on themselves”. Feedback on “Priest says women bring sexual and physical violence on themselves”.